If the drive to the recording studio is starting to kill your vibe it might be time to consider an upgrade for your next platinum album. Tucked away north of the Bow Valley Trail NW of Calgary sits this monument to harmony and mastering. The level of detail inlaid to every facet of this property is truly remarkable, but being a major fan of sound stages and recording studios, my attention is sharply focused on the beautiful pool-side studio on the ground level. 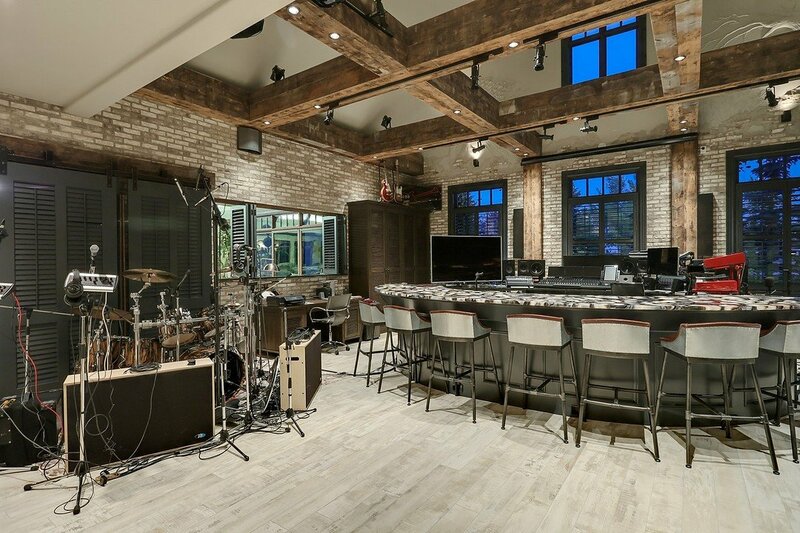 This is a sound stage suitable for the highest echelons of music and audio production in both function and jaw-dropping form. Home design like this, born in the headwaters of human creativity, is absolutely exceptional when executed to this level of perfection. In a world filled with ‘mundane opulence’ homes of this caliber remind us of what heights true creative spirits can achieve in the right environment.